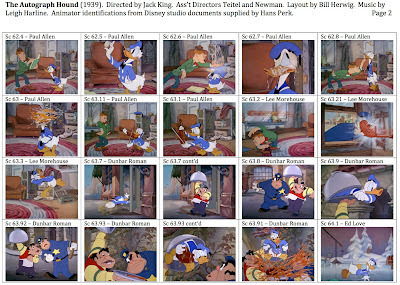 Ever wonder what Terry Gilliam's favourite animated films are? If so, go here. To see some of them, go here. Character A has a conflict with Character B based on pride and control. Character A's will to power accidentally does something to put Character B in jeopardy, so Character A has to rescue Character B. During the rescue, the two characters reconcile their differences and learn to accept each other. That's the underlying structure of Brave. 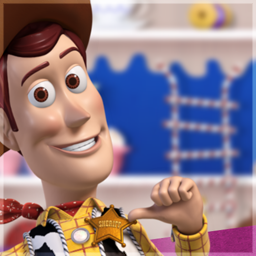 It's also the underlying structure of Toy Story. We may never know the story that Brenda Chapman intended to tell before being removed from the director's chair, but the story we have is a retread. It comes in a visually attractive package with qualities that were unachievable just a few years ago, but it feels like Pixar, having rejected Chapman, reverted to something it felt comfortable with. So while Brave isn't one of the Pixar sequels already released or yet to come, it still feels overly familiar with only the environment to set it apart. 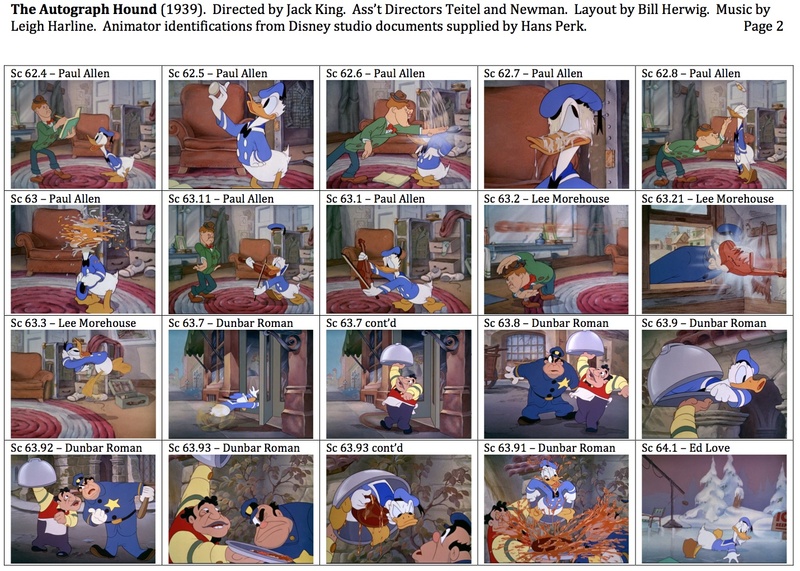 A reliance on setting, rather than story, smacks of the later drawn Disney features. There are echoes here of How to Train Your Dragon, Mulan, Brother Bear, Donald's Nephews, Beauty and the Beast, Pinocchio, The Sword in the Stone, Princess Mononoke, and The Adventures of Robin Hood. That's evidence of a story team taking the easy way out, using elements they know will work, rather than letting events grow out of the characters' actions. 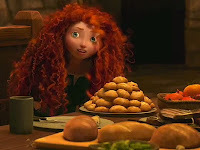 Brave will make a lot of money and shows the heights the Pixar artists are capable of reaching. However, I personally take more pleasure from films like Persepolis, The Illusionist, Spirited Away and Mary and Max than I do from Pixar's recent films. While they may not be as slick or elaborate, those films have singular points of view. My opinion of Brave won't change anything. Mainstream animated features are too successful to let dissenting voices bother anyone with influence. But animation has once more decided to live within a cage of its own making and is happy to stay put, safe and secure. Frankly, it's a waste of talent. This has nothing to do with animation, so skip it if you like. There was a time when Hollywood movies were treated as nothing more than commercial entertainment. (Sound familar?) They were a product, not an art form. In the years after World War II in France, a group of cineastes started looking hard at Hollywood films. Perhaps, due to their cultural background or perhaps due to their lack of English skills, they saw things in Hollywood films that no one had bothered to notice. They formed a magazine called Cahiers du Cinema and many of them, besides being critics, grew to become film makers. Some of you will be familiar with the names Francois Truffaut, Jean-Luc Godard, Eric Rohmer, Claude Chabrol, Jacques Rivette and others of their generation. Collectively, they were known as the Nouvelle Vague, the French New Wave. Critically, they championed what they referred to as Les Politiques des Auteurs. They saw directors as the ones who shaped what was on screen and noticed recurring themes and motifs in directors' films. They not only championed film makers who had some critical standing, such as Orson Welles (though at the time Welles' stock was pretty low), but directors who were completely below the radar like Howard Hawks and those considered mere entertainers like Alfred Hitchcock. Their approach to film history and criticism might have gone unnoticed in the United States except for Andrew Sarris. 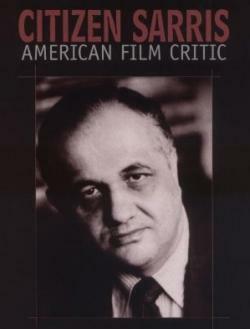 Sarris was aware of French film criticism and was a lone voice fighting to establish what was known as the Auteur Theory in American criticism. He was opposed by critics like Pauline Kael and during the 1960's, film criticism was on the cultural map with the Auteur Theory being one of the main points of contention. Was the director the author of a film or not? Was a weak film by a great director automatically better than a good film by a weak director? 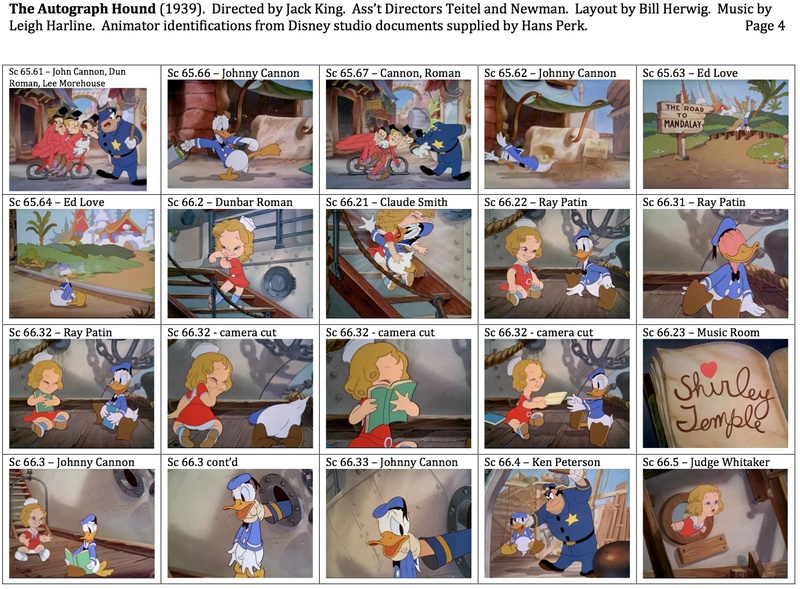 Was a director's style integral to how a story was communicated or was it something layered over the top of a script? While the Auteur Theory may have overplayed its hand in claiming authorship, it firmly established the legitimacy of the concept of directorial style. Earlier film critics had been mainly literary in their approach, judging a film based on plot, characterization and dialogue and basically blind to the notion of a visual style or recurring themes in a director's work. If we take for granted now the idea of a Martin Scorcese film, a Wes Anderson film, a Ralph Bakshi film or a Brad Bird film, we do so because of Sarris. Sarris's book The American Cinema: Directors and Directions 1929-1968 was a Rosetta stone for understanding the work of Hollywood directors. He placed them in somewhat frivolous categories (Pantheon Directors, The Far Side of Paradise, Expressive Esoterica, Less than Meets the Eye) and his descriptions of directors were sometimes frustratingly short and hard to decipher. However, the more films I saw by a director, the more I understood what Sarris had written and the majority of the time, I was amazed at how perceptive and concise he was. The American Cinema was a map book; it showed you the terrain and pointed out the highlights. Prior to the trip, it made little sense but once there, the reader could only be impressed by what Sarris had written. I saw Sarris only once in person. He gave a talk at Queens College with his wife, critic Molly Haskell. However, he absolutely shaped my value system when it comes to film. Sarris was much more a champion of John Ford than the French critics, and for that I am eternally grateful. His books, the aforementioned The American Cinema; The John Ford Movie Mystery; and You Ain't Heard Nothin' Yet: The American Talking Film, History and Memory, 1927-1949, are still taken off my shelf when I've seen a film and wonder, "What did Sarris say about it?" The heady days of film criticism are over. No longer does a review provoke controversy or demand attention. We've passed through the "thumbs up-thumbs down" era and are now reduced to a Rotten Tomatoes meter reading. Many of us who love film have little to be happy about in this era of tentpoles and sequels. I'd rather spend my time staring at the work of Ford, Hawks, Raoul Walsh, Frank Borzage, Gregory LaCava, Ernst Lubitsch, George Cukor, etc. trying to perceive these directors through their films. It's a rewarding way to spend time and I have Andrew Sarris to thank for it. Fred Moore, Where Are You? Let's see. There's seven of these little guys. Could it be? Why yes! It's the seven dwarfs. Well, they're public domain, so anybody can use them, right? What's that? This is a Disney project? DISNEY? Welcome to 7D, a new TV series for Disney Jr. Quick! Which one is Doc and which one is Happy? According to Deadline Hollywood, distributors will no longer make movies on film available to theatres in North America by the end of 2013. International theatres will be done with film by the end of 2015. It's all going to be digital. I fully understand the economics behind this move. Film prints are expensive to make, expensive to ship and easily damaged when projected. They contain silver, a substance whose cost varies widely due to market forces. Digital prints can be made faster, the drives that hold them are reusable and they shouldn't degrade over multiple showings. They won't need splicing. Still, for anyone who has handled film, it's a sad moment. There was something magical about being able to hold a ribbon of celluloid up to the light and see the images. Seeing the squiggle of the optical soundtrack and knowing that the squiggle could be turned into an orchestra or an actor's voice was amazing. Comparing the sides, one the celluloid base and the other the emulsion, said something about the film's manufacture. The knowledge of edge numbers, negative and reversal, hi-con and panchromatic, internegs and interpositives, workprints and release prints, will vanish with film. The artifacts of film are what we accept as the look of movies. Film grain is an imperfection, yet we take it as normal. Observant people notice the marks in the upper right corner to signal reel changes to the projectionist. (Those marks have disappeared in recent years due to improvements in projectors). It is because projectors used to be mechanical that sprocket holes, one of the most common graphic identifiers of movies, exist and why all movies were projected at the same rate. The new digital systems are not restricted to 24 frames per second. Peter Jackson will release The Hobbit at 48 fps. James Cameron will release the Avatar sequel at 60 fps. Some people are wondering if these films won't look like soap operas or sitcoms shot on video. 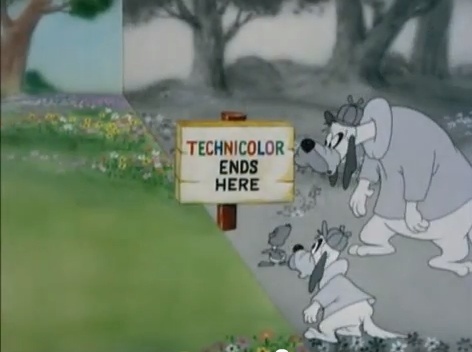 Finally, think how this will affect Tex Avery's cartoons. Old cartoons already labour under handicaps because their contemporary references aren't known to modern audiences. Voices that imitate radio performers or gags spoofing hit films of the past don't register. Avery, in particular, loved to riff on the nature of film itself. The wolf runs past the sprocket holes in Dumb Hounded. 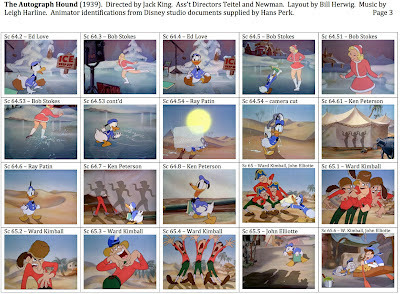 Two hunters cross a boundary where Technicolor ends in Lucky Ducky. 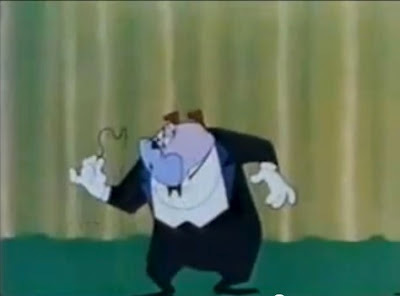 A singer pauses to pluck a hair from the film gate in Magical Maestro. It's only a matter of time before these gags will mystify audiences instead of making them laugh. The world moves on. Some future Tex Avery will probably do gags about file formats. Films will soon have the same status as cylinder recordings; only specialists will know what they're looking at and have the equipment to play them. I'm going to miss film. 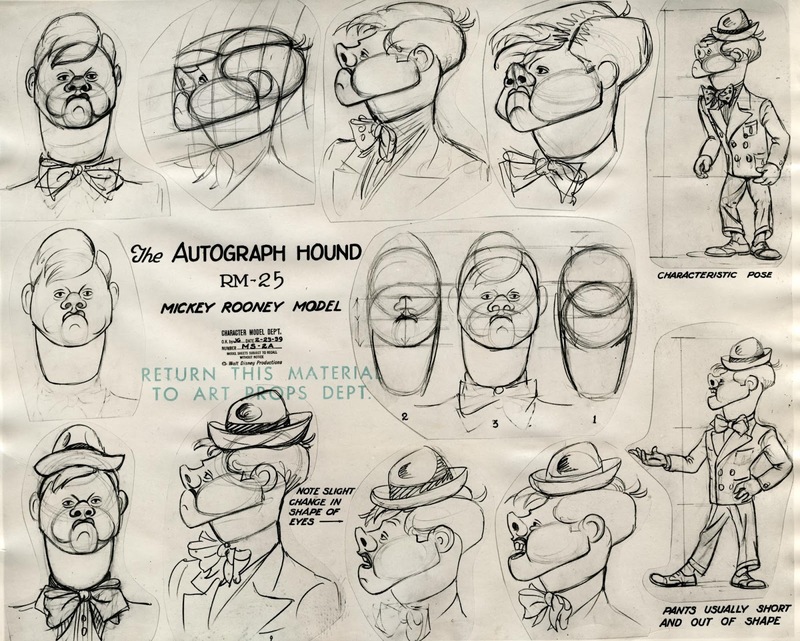 "In [animator Paul] Allen's defense, the Mickey Rooney design he was working from is one of the clunkiest and most poorly constructed Disney models of all time. I don't know what Joe Grant was thinking when he approved that one." I certainly have to agree with Amid. The design is flat from both the front and side views. The only three quarter view on the model sheet doesn't work and is ugly to boot. As I mentioned earlier, caricature is difficult for a still, but even harder for animation where the likeness has to be able to turn. Given this design, Paul Allen had a near impossible job. It's been a while since I've done a mosiac. 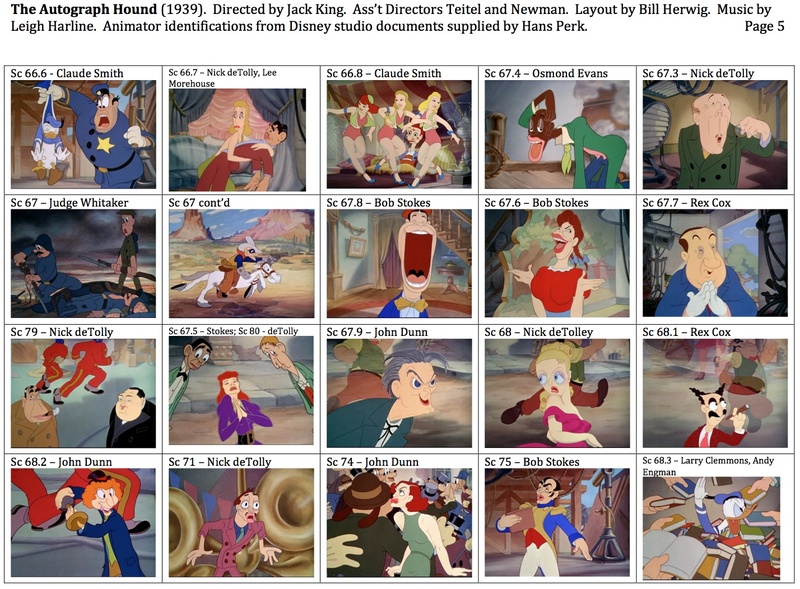 When Hans Perk posted the animator draft for this cartoon, I knew I wanted to break it down visually. 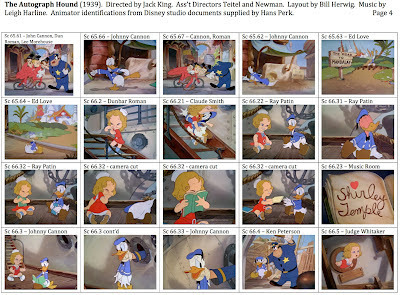 Donald Duck has never been a favorite animated character of mine. Where there are certain of his cartoons I admire (such as Duck Pimples), the admiration is based on things other than the character. I know that many cartoon fans are not impressed with the Duck cartoons directed by Jack Hannah, but I actually like those the best overall, as I like Hannah's posing and timing as well as the work of animators like Al Coe. 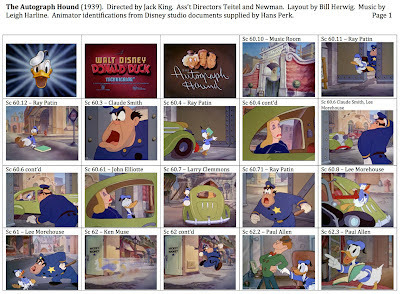 This cartoon is attractive to me because of the caricatures of Hollywood stars of the 1930s. Caricature is difficult to do well with still illustrations. When you start to move caricatures, the task of holding the likeness becomes even more difficult. The success of the caricatures varies widely in this film. Paul Allen's Mickey Rooney is weak. Looking at the animation single frame in order to pick stills, it's clear that Allen was intimidated by holding the likeness. He doesn't vary Rooney's expressions much and there are some genuinely ugly drawings in there. The film's conception of Rooney doesn't capture his range or personality well either. Dun Roman's Henry Armetta, the short waiter, is good, though Armetta was a limited performer even in live action. The walk is done well and that and the Italian accent probably sum up Armetta. Bob Stokes did a very nice job on Sonja Henie. He had to be able to hold likeness through the various angles required by her ice skating. It's a very pleasing piece of animation both from a motion and caricature standpoint. Ward Kimball's Ritz Brothers are a highlight of the cartoon. The Ritz Brothers are not well remembered today and the work of theirs I've seen seems build on being frantic more than being funny. I would compare them to Jim Carrey during the manic phase of his career. Kimball really pushes the poses and the timing. As the caricatures are pretty broad, he doesn't have to worry too much about holding the likenesses. 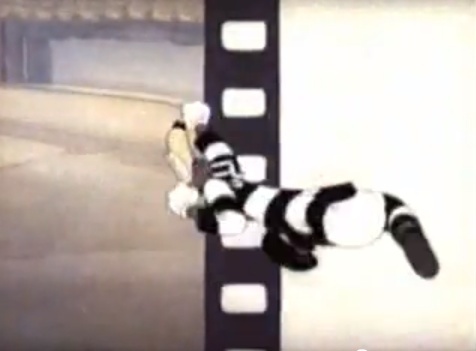 What's below is Kimball's animation slowed down to approximately 5 frames per second, instead of the standard 24 frames per second. See how freely Kimball changes the characters' shapes. Pay attention to the spacing between drawings. Some of it is very broad, followed by tighter spacing to cushion in to poses. I think the most successful caricature, though is Shirley Temple. 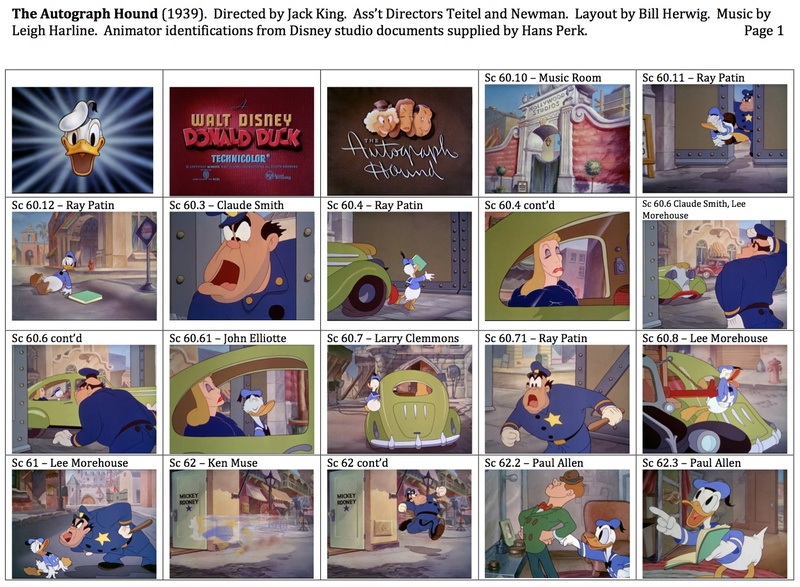 I was surprised to see that the good shots weren't the work of a single animator. Dun Roman has her introductory shot with some very nice dance animation. 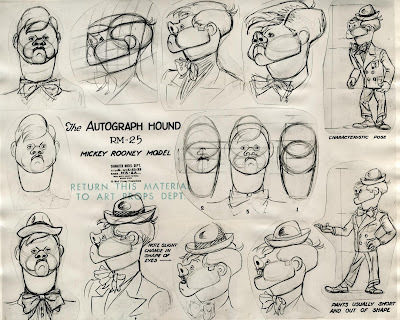 He draws her with a larger head than Ray Patin, who does an extended scene with Shirley and Donald. In terms of capturing a likeness and a personality, Patin's scenes are great. They are also lengthy, a real challenge for sustaining any performance. Claude Smith and Johnny Cannon have lesser scenes with Shirley, but don't ruin the illusion. Her final scene, however, animated by Judge Whitaker, is a real failure. It's poorly drawn and doesn't match the earlier Shirley scenes in quality. The final montage is interesting for being so chaotic. Montages were common in 1930s live action films and there were film makers like Slavko Vorkapitch who specialized in them and often got screen credit for them. 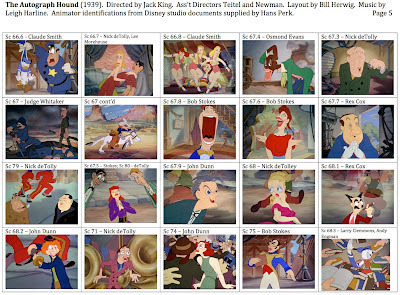 The montage here uses footage from Society Dog Show in spots and the layouts between background characters and the caricatures in the foreground don't match at all in size or perspective. Sc 66.7 - Greta Garbo and Clark Gable. Garbo retired in 1941 after a career in silent films and talkies playing many doomed romantic characters. Gable was Rhett Butler in Gone with the Wind. Sc 67.4 - Stepin Fetchit, the stage name of Lincoln Perry. Perry is a controversial figure today, with some accusing him of reinforcing racial stereotypes and others celebrating him for subverting the racial status quo of the time. Sc 67.8 - Joe E. Brown, a starring comedian of the early '30s but probably best known these days for his role in Billy Wilder's Some Like it Hot. Sc 67.6 - Martha Raye, a musical comedy performer who is in Chaplin's Monsieur Verdoux. Sc 67.7 - Hugh Herbert, a supporting comedian in many '30s films at Warner Bros.
Sc 79 - Irvin S. Cobb is smoking the cigar. An author who wrote the Judge Priest stories adapted by John Ford and who appeared in Ford's Steamboat Round the Bend. Edward Arnold was a villain in many films, including Mr. Smith Goes to Washington and Meet John Doe, both directed by Frank Capra. Sc 67.5 - Left to right: Eddie Cantor, a singer and comedian whose films are infrequently shown due to his use of blackface; Katherine Hepburn, whose career spanned 50 years of movies; and Slim Summerville, a former Keystone Kop who continued to do supporting comedy roles. Sc 67.9 - Lionel Barrymore, dramatic actor, brother of John Barrymore and great great uncle of Drew Barrymore. Sc 68 - Bette Davis, probably best remembered for Jezebel; The Little Foxes; The Letter; Now, Voyager and All About Eve. Sc 68.1 - Groucho Marx, star of Vaudeville, Broadway, Movies, Radio and Television. Member of the Marx Brothers. Sc 68.2 - Harpo Marx, pantomime comedian, brother of Groucho and the star of the same media except for radio. Sc 71 - Micha Auer - character comedian in films like My Man Godfrey and You Can't Take it With You. Sc 74 - Joan Crawford, star at MGM and Warner Bros. for decades in films such as Mildred Pierce. Sc 75 - Charles Boyer, French romantic actor.